We were invited to a "silly hats" birthday party and needed to come up with some last minute dress up hats. 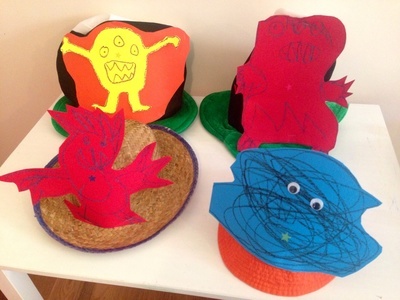 These monster hats were really quick and easy to make. The kids loved making them and wearing them too. Hats (e.g. 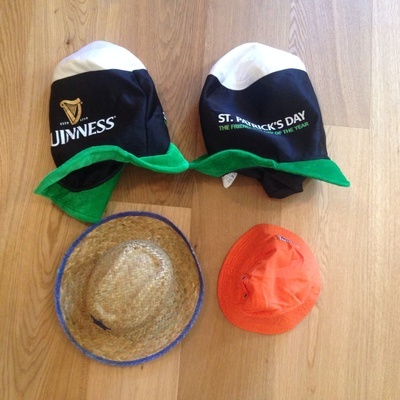 Sun hat, straw hat, party cone hat) or make a headband from a strip of cardboard. 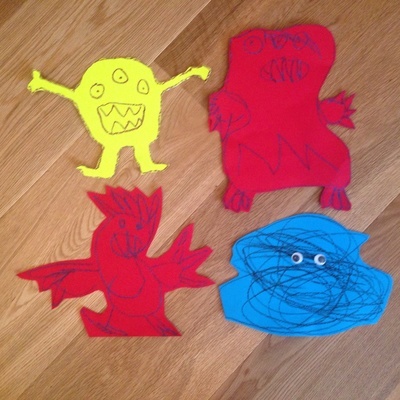 Draw a scary monster on a piece of coloured card and cut out. Toddlers can just draw a big scribble. Cut out and stick on googly eyes. 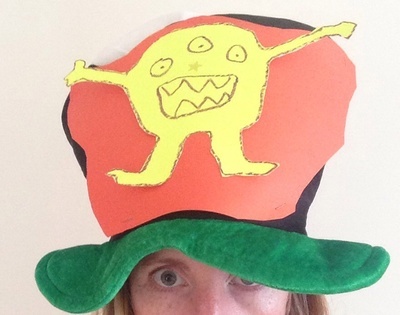 Staple the monster to the front of the hat. 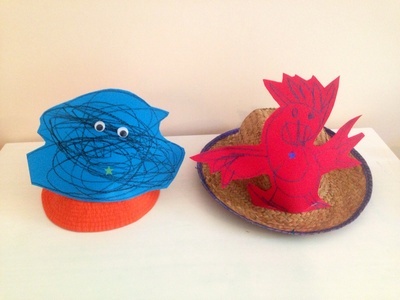 For a fun birthday party activity you could try creating hats at the party. 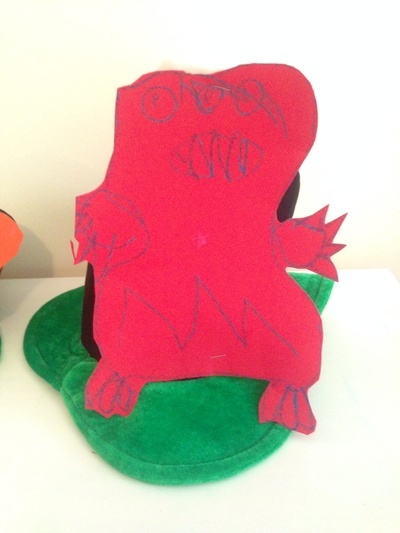 Start with some party cone hats with elastic chin strap and staple the monsters on to the cone hats.